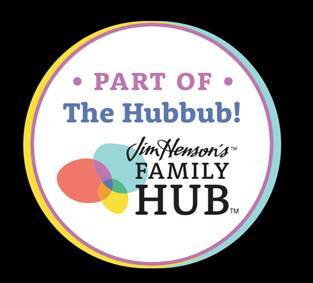 RANDOLPH, Mass., August 26, 2014 – Planning and putting on the perfect birthday party for your little one can be both exciting and intimidating, especially with so much inspiration all around today, from flipping through magazines to gazing at Pinterest boards. Nevertheless, with easy-to-execute tips and worry-free decorations, it’s surprisingly easy to throw an unforgettable birthday bash that will leave your kids and guests completely impressed. “A huge advantage to throwing at-home birthday parties for kids is that they’re completely customizable, and far more affordable,” says Paula Berberian, Creative Director of WallPops, the premier line of peel-and-stick wall art from Brewster Home Fashions. That means you can incorporate personal touches to make the birthday boy or girl feel extra-special as they celebrate their big day. “Not to mention, kids are more comfortable in their home environment,” she notes. Below, Berberian reveals simple tips and tricks to throw the ultimate birthday party for the birthday star in your life. 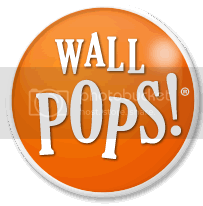 All WallPops products are available at select retailers and online at www.wallpops.com; to find a store near you, use the ‘Find a Retailer’ tool on the website. Stick to a theme – “Determining a theme should be step one in the party planning process,” Berberian advises. “And, if your child is old enough, you should definitely ask for their input.” Jungle and safari themes are a big trend this year, so there are tons of accessories to create a cool Amazonian vibe. For added convenience, peel-and-stick decals like WallPops Let’s Go On Safari Kit and Sunny Day Safari Kit feature adorable animals that are easily removable and can be reused for future soirees. The Alphabet Zoo Kit is another twist you can throw in the mix, and Berberian recommends spelling out “Happy Birthday” or even the name of the birthday star with the animal-themed letters. The kids will love these mess-free decorations. 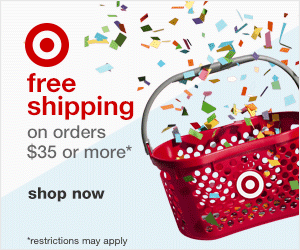 (Kits retail from approximately $17.99 to $30.99 each). Embrace the Celebration Spirit – When trying to think of clever and personal touches, don’t lose sight of more traditional decorations that really get guests in the celebratory spirit. 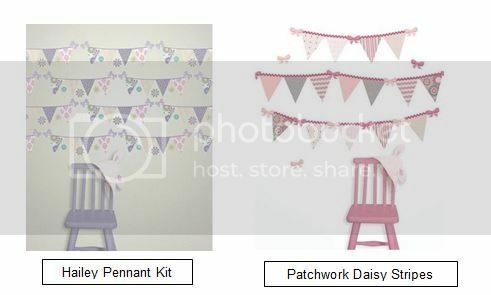 Classic party décor gets a very modern twist when festive designs are incorporated, as evidenced by the Hailey Pennant Kit and Patchwork Daisy Stripes. These removable decals transform any room in yourself into a bona fide party space, and you can peel them off when the party is over. (Both retail from approximately $17.99 to $30.99 each). Set Up a Photo Booth – Renting a real photo booth can be quite expensive, but there’s an easy and temporary solution to creating a one-of-a-kind backdrop. “Delegate one wall in the house to act as a fun and festive backdrop for photos,” Berberian suggests. 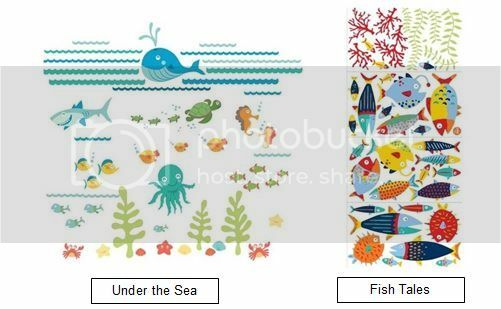 WallPops Under the Sea Kit and Fish Tales Decals create an especially entertaining nautical scene that will inspire some hilarious fish faces. For an added bonus, take out the goggles and snorkeling kits for fun accessories. If you have a Polaroid camera, you can give guests a copy of their photo booth picture as a party favor. (Both retail for approximately $17.99 each). Plan a Secret Surprise – Instead of splurging on the latest gadget or popular toy, surprise the birthday boy or a girl with a gift that will make them smile every day – a brand new bedroom. “Our new peel-and-stick headboards coordinate with existing kits,” Berberian says. 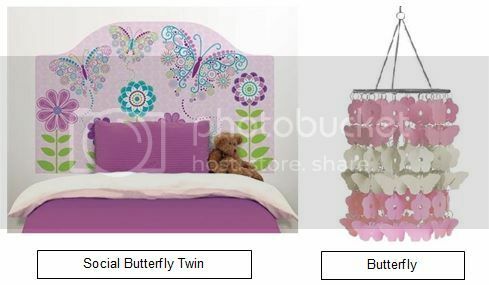 “They’re all quite large, it feels like a story book playing out right on their wall.” The little lady in your life will swoon over the WallPops Social Butterfly Twin Headboard, and the WallPops Butterfly Chandelier is a pretty finishing touch. 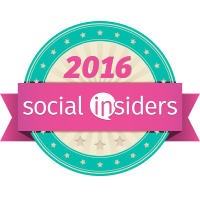 (All headboards retail at approximately $35.99 and all chandeliers retail at approximately $30.99 each). Make Some Memories – Kids can be easily overwhelmed by all of the attention they get during their birthday bash, and may not even remember all of the guests who came out to bring in the big day. To make sending thank-yous easy, arrange a sign-in station. “A dry erase board is also a great way for the birthday honoree to read personalized messages from all of their friends and family,” Berberian says. 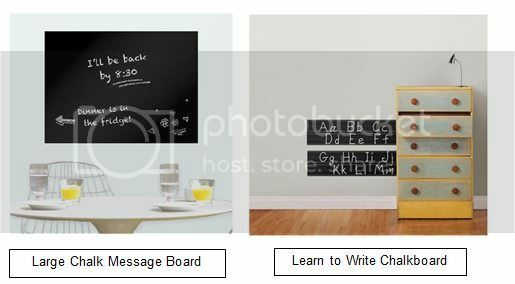 WallPops Large Chalk Message Board provides a nice, large surface for everyone to leave their birthday wishes, and the Learn to Write Chalkboard is the perfect option for younger guests. The best part is that after the party, you can remove and reapply the chalkboard in your little one’s room so they can feel the love all year round. (Both retail for approximately $17.99). “WallPops take the stress out of party planning so you can spend more time enjoying the festivities instead of worrying about clean up or how much you spent,” Berberian concludes.